For the past 25 years, my beat as a journalist has been covering those moments in time when science fiction became science fact. As a result, and on a good number of occasions—like when the first artificial vision implant was turned on or when the first private spaceship was launched—I was lucky enough to be in the room when history happened. These moments are also the subject of my next book: Tomorrowland: Our Journey From Science Fiction to Science Fact, which hits stores in early May. 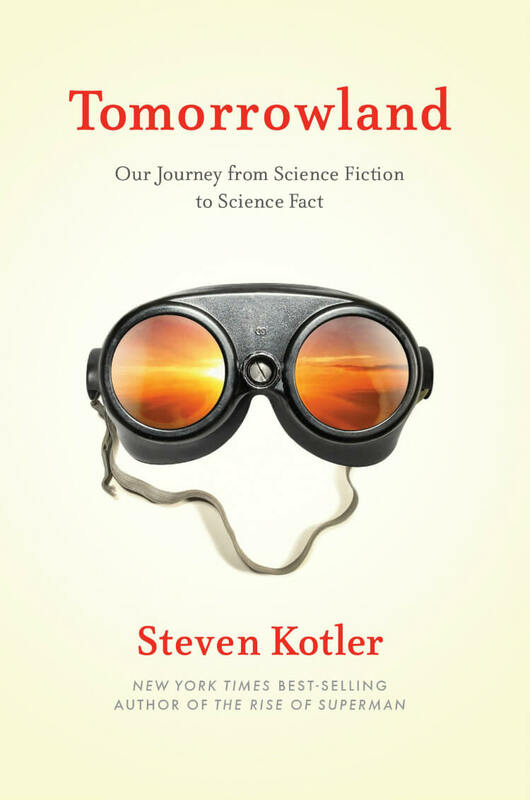 As the title suggests, this book is an investigation into those transformational sci-fi to sci-fact moments and—more specifically—the incredibly disruptive impact they have on culture. Yesterday, I released the trailer for Tomorrowland—seriously, it’s awesome, which takes a longer look at this impact, but to understand the quick and dirty version it helps to start with our religious traditions. Consider their awesome influence and impact, both positive and negative. The wars waged and blood spilled and ceaseless argument; the lives saved and morality preserved and deep bonds. Now, think about what’s coming. How many of these traditions use the threat of the hereafter to steer morality and shape behavior? Yet, in labs today, we’re already poking at the possibility of downloadable consciousness, of permanently storing our selves on silicon. So what happens to theological morality in the face of technological immortality? This question—and so many like it—are no longer idle concerns. To put this in different terms, think about the religious riot that has broken out over evolutionary theory. But this debate is simply about a fundamental belief. Today, science and technology have crossed an even greater line. No longer are we simply eroding fundamental beliefs; now we’re starting to destabilize the very facts those beliefs are built upon. Take synthetic biology, for another example. This tech allows us to write genetic code like we treat computer code. Right now, this means new foods and fuels and medicines. But biotechnology, which includes synthetic biology, is now advancing at five times the speed of Moore’s law—doubling in power every four months. So we’re not long from being able to create organisms from scratch. Quite literally, figments of our imagination are about to take up residence in reality. So yeah, now we’re cheating death and jump-starting life and if you don’t think this will fundamentally rearrange our culture and forever alter our belief systems then you’re not thinking at all. Well, one thing most certain, he’s not wrong. So strap in, hang on and sit tight, because we’re in for a seriously bumpy of a ride. *To order your copy of Tomorrowland, click here.